Stowemarket Registry Office dates back to the 17th Century and has an historical link with the writer and poet, John Milton. It is surrounded by spacious and attractive gardens that make an ideal setting for memorable photographs. 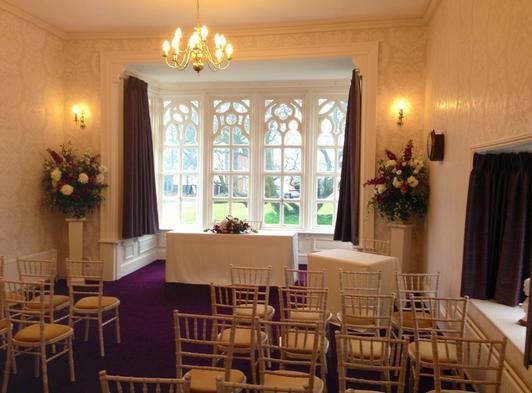 There are two ceremony rooms: The John Milton Room has a guest capacity of 30 and The Gipping Room a guest capacity of 2. Ceremonies are held during office opening hours and on Saturdays until 12.30pm. The office is open 9.30am - 4pm Mon, Tues, Thurs and Fri.